Next Project: Weber 40 DCOE Sidedrafts! 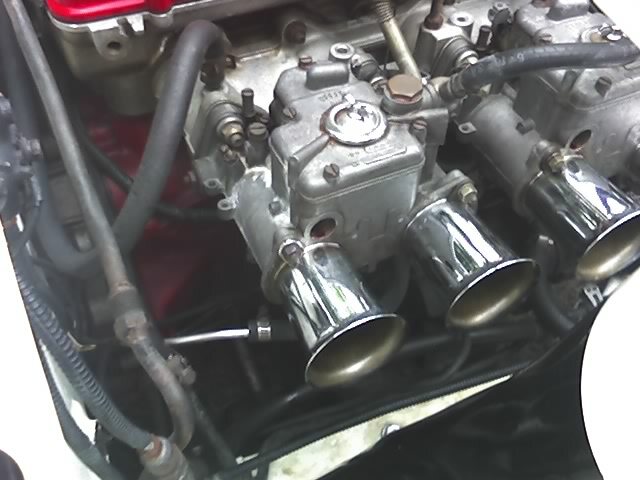 I'm currently looking for a similar type of twin sidedraft weber/solex/mikuni carburetors. The sidedrafts pictured are 45mm. These are too much for the R16 engine so I'm looking for a smaller, but equally potent 40mm carburetors. Dear Santa...I hope you read this blog! Congratulations on finding new carbs. Good luck with the manifold, hope it turns out great. Might need your contact in the future. Would like to know if you would like to dispose of your 45mm carbs. If not,a contact number in banawe would be really helpful. Great work with the car. Just drop me an email. Thanks! Thanks! It's been a challenging project...twin-side carbs are really hard to find these days. I got my Solex 40PHHs from Ichi Ban Motor Parts in Banawe. There website is www.ichibanmotors.com. Tel: 732-1770. I believe they also sell Webers.